Our appetite for food imagery is voracious. The popularity of cooking programs, foodie blogs, and pictures of food on social media reflects some of the ways our current encounters with food and food issues have become increasingly visual. Food trucks, farmers markets, and community gardens have redesigned the urban food-scape. When mediated through the lens of a camera, our cultural relationship with food is transformed into a complex single-sensory engagement that is guided by sight but charged with personal, political, and sensual associations. 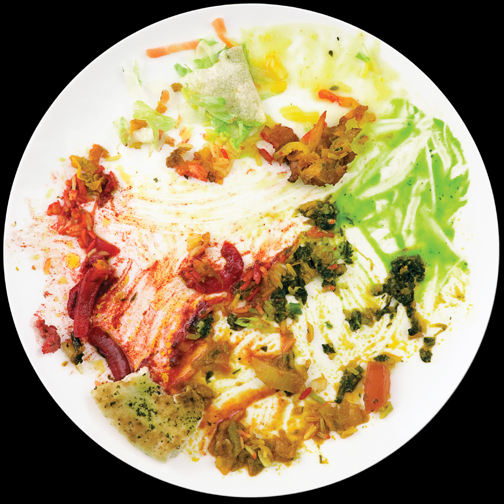 The eleven artists in See Food experiment with this visual investment in the power of food by exploring both its formal qualities and its cultural relevance. Mark Menjivar, Emily Peacock, and Emily Sloan look to food as a raw expression of identity and personal taste, while others, such as Jonathan Blaustien and Nolan Calisch, use food to challenge the current modes and costs of industrial production and suggest alternative commercial models. By fusing food to plate, Damarius Booth’s ceramic sculptures play with the ephemeral nature of leftovers and consider how quickly a desired dish becomes refuse. In Andrzej Maciejewski‘s modern take on sixteenth-century Flemish paintings, fruits and vegetables are catalogued, certified, and labeled to adhere to a standardized definition of nature. 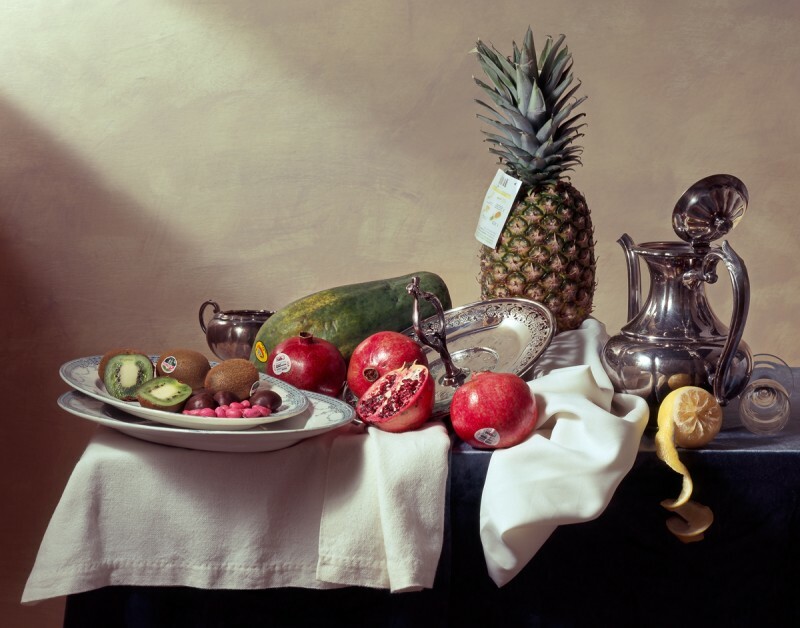 These artists create images that are both still lifes and portraits, indicative of their individual experiences and engagements with the meaning of food today. For Nolan Calisch, David Welch, Christin Boggs, and Corey Arnold, the camera records a tactile encounter with food, either on the farm, in the field, or at sea, while Jody Horton uses cookbooks and narrative forms to highlight contemporary means of hunting and gathering. More documentary in approach, these photographers illustrate a growing cultural interest in knowing food at its source. All of these artworks highlight a uniquely visual relationship with food, reflecting a variety of ways photographs inform how we picture food and see ourselves. The photographers in See Food are confronting this very paradox while still celebrating the power of image. They utilize the visual resonance of food in contemporary culture to address issues of access, economy, identity and taste in a variety of different ways. One of my goals in bringing this work together is to not just to acknowledge a group of photographers engaging with food and food issues but to help viewers recognize all of the ways that their engagements with food are indeed filtered through the visual.